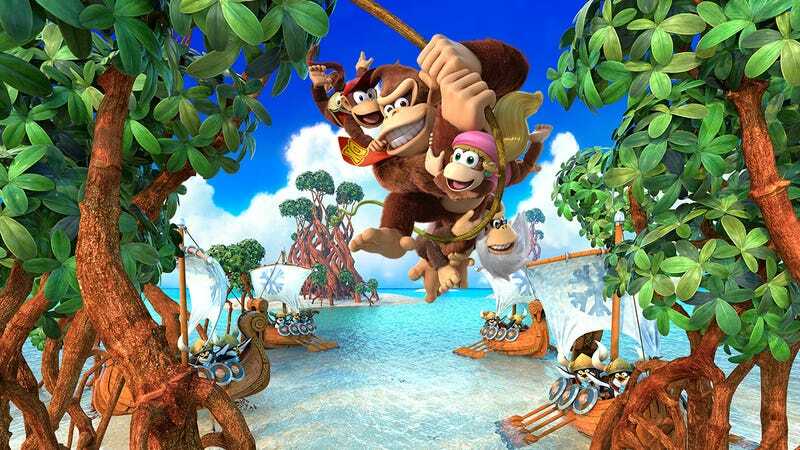 Donkey Kong Country: Tropical Freeze was first released on the Wii U in 2014, and has previously available as a digital download on Nintendo’s eShop. Now that the game has been re-released on the Switch, though, it’s been noticed that the cheaper digital version of the game is no longer available. There are reports of the Wii U’s digital version having first been removed as a downloadable purchase earlier in the year, perhaps when Nintendo first announced the Switch edition, but it looks like most folks are only picking up on its absence now that Tropical Freeze is out this week. Nintendo of America’s website simply directs fans towards purchase options for the Wii U game’s physical release. And Amazon’s listing for the digital version of the game now says it’s “unavailable”. This is weird. For starters, only the North American version of the game appears to be affected. And other Wii U games with Switch re-releases, like Mario Kart 8, are still available for download. We’ve contacted Nintendo of America for comment.